Whether your event is for business or pleasure, Gas Monkey is the perfect destination. The venue features a warm, rustic rockabilly atmosphere that can be transformed to any setting, accommodating large and small functions. We offer complete buyouts, corporate functions, wedding receptions, launch parties or any other special occasion you have in mind. 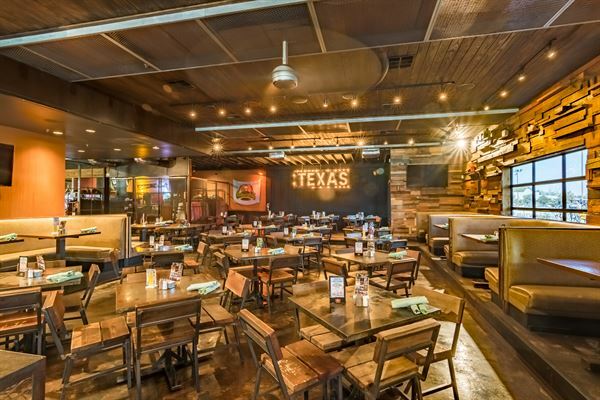 Our Chef driven menu offers an extensive variety of Texas comfort food as well as a taste of selected premium smoked meats that are prepared fresh daily. Our team is dedicated to designing a memorable event. Gas Monkey VIP - The space is completely private and located upstairs from the venue , offering a lounge area , private bar , restrooms , outdoor balcony seating and cabanas . We welcome you to join our Ramada family for all of your occasions. From birthdays to weddings, we have a goal to make it special, and memorable for you. Whatever type of music or mood you want to set at your event, we will work with you to make it the best it can be. We feature equipment technology including state-of-the-art computerized equipment for you to play your music list on, pristine sounding audio, dazzling lighting and more. Also we have video projectors available for you to utilize.